When a powerful military general named Sima Yan overthrew the Wei Dynasty (220-265) and established his own Jin Dynasty (265-420 AD), he had grand dreams of a China united under his rule. When he eventually conquered the Kingdom of Wu (222–280) and put an end to the bloody Three Kingdoms Period (220-280), it seemed his dreams were finally coming true. The country was whole once again, the citizens were at peace, and, under the regal name Emperor Wu of Jin, Sima Yan ruled with a skilful hand. But, like all good things, it seems it was doomed to come to an end. With the country properly united for the first time in 60 years, Emperor Wu was able to resume contact with the oasis kingdoms of Central Asia. Although Confucianism saw a marked decline in popularity, as scholars felt that its principles had largely failed to keep the Han Dynasty (206 BC–220 AD) afloat, Buddhism propagated from the West and flourished throughout the country. Superlative works of Buddhist art were created throughout the entirety of the Jin Dynasty, although not necessarily under the patronage of Jin rulers. Emperor Wu strongly believed that previous dynasties had collapsed due to lack of support for the royal family, so he bestowed the title of imperial prince on several of his close relatives. This gave them some control over the provinces that they governed and helped to consolidate his family’s power. With his bloodline so deeply entrenched in the empire, Emperor Wu felt that usurpation was an impossibility. As the old saying goes, these proved to be famous last words! Although he ensured that his family controlled the larger roles in government, his decision overlooked the fact that many corrupt officials still operated at lower levels. Like many emperors before him, Emperor Wu was far too concerned with lusting after women and enjoying the opulence of upper class life to notice the major problems that were developing in his empire. Meanwhile, in a crisis worthy of the modern age, China was struggling with a serious immigration problem. Tribal people from the north, known collectively as the Wu Hu or “Five Barbarians”, were migrating south and settling in northern Jin territory. Each group was vastly distinct in terms of culture and customs, meaning that tensions quickly arose between them and the native Han Chinese population. 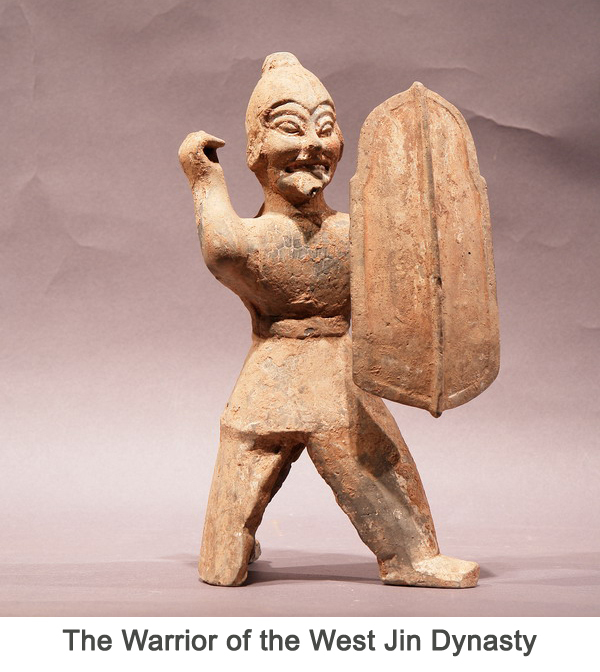 The Wu Hu people faced increasing levels of discrimination and were rarely promoted into higher level occupations. 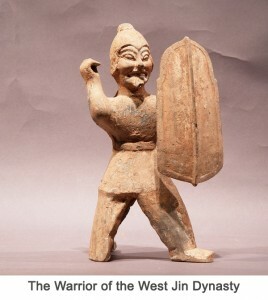 Their dissatisfaction with the oppressive regime, coupled with the distribution of power among the Sima family, was what set the scene for the Jin Dynasty’s eventual downfall. When Emperor Wu tragically died in 290, he was succeeded by his son Sima Zhong or Emperor Hui, who was largely described by historians as incompetent and may have been developmentally disabled. One such story of Emperor Hui’s tragic ineptitude, which has become famous throughout modern China, came about when an official approached him to address the issue of poverty. The official pleaded with the Emperor and told him that his citizens didn’t have any rice to eat. The Emperor responded with the question: “So, why don’t they eat meat?”. This simple yet poignant exchange clearly demonstrates the sheer ignorance with which Emperor Hui governed the country. Many of the imperial princes decided to exploit his ascension by trying to seize the throne for themselves, and this resulted in a bitter civil war known as the War of the Eight Princes (301-305). Contrary to what the name suggests, this was not one long, continuous war but was in fact a series of short, intense conflicts that were equally damaging to both sides. Essentially it was like a sequence of unending family feuds! What began as a minor skirmish in the imperial capital of Luoyang, escalated into full-scale chaos as each new prince entered the fray. By the time it had finished, the central government had been severely fractured and the empire was virtually crippled. With the empire thus weakened, several chieftains from the various Wu Hu tribes decided to rebel. This brutal period in history was known as the Wu Hu Uprising or, rather more aggressively, the Uprising of the Five Barbarians (304-316). 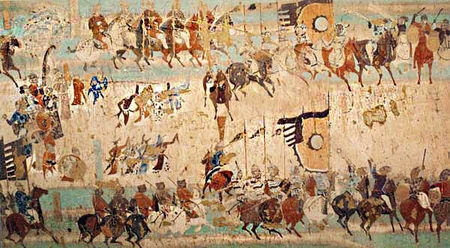 During the ensuing warfare, the Jin army lost over 100,000 troops and were unable to maintain control of northern China. With their military forces practically obliterated, the imperial capital was left wide open. In 304, a warlord of Xiongnu descent named Liu Yuan openly revolted against the Jin Dynasty and in 311 his powerful army sacked the imperial capital of Luoyang, killing over 30,000 people. Liu Yuan promptly stormed the palace and executed the reigning Emperor Huai, Emperor Hui’s great-granduncle. In a futile attempt to keep the dynasty alive, the imperial court enthroned Sima Ye as Emperor Min at the secondary capital of Chang’an (modern-day Xi’an), but this last act of desperation would prove to be in vain. Chang’an was captured in 316 and Emperor Min was forced to surrender before later being executed. Yet it seemed that all was not lost. Although the north of China had been tragically overrun by the Wu Hu, several members of the Jin court managed to flee south. In 317, after finding out about the fall of Chang’an, Sima Rui was declared Emperor Yuan of the Eastern Jin Dynasty (317–420) and the capital was set in the southern city of Jiankang (modern-day Nanjing). While the south would enjoy a period of relative stability, the north of China was plunged into an unstable age known as the Sixteen Kingdoms Period (303-439), where the northern territories were separated and frequently appropriated by a series of barbarian states. Forget about the North-South divide, this was a national divide of epic proportions!